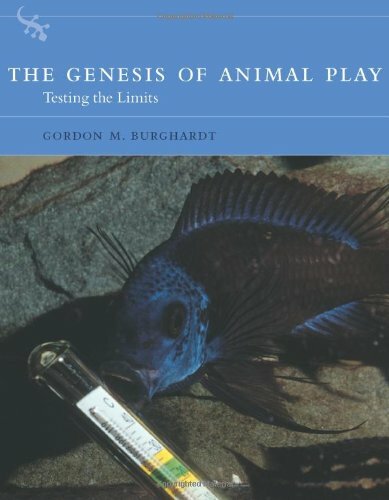 In The Genesis of Animal Play, Gordon Burghardt examines the origins and evolution of play in humans and animals. He asks what play might mean in our understanding of evolution, the brain, behavioral organization, and psychology. Is play essential to development? Is it the driving force behind human and animal behavior? What is the proper place for the study of play in the cognitive, behavioral, and biological sciences? The engaging nature of play -- who does not enjoy watching a kitten attack a ball of yarn? -- has made it difficult to study. Some scholars have called play undefinable, nonexistent, or a mystery outside the realm of scientific analysis. Using the comparative perspectives of ethology and psychology, The Genesis of Animal Play goes further than other studies in reviewing the evidence of play throughout the animal kingdom, from human babies to animals not usually considered playful. Burghardt finds that although playfulness may have been essential to the origin of much that we consider distinctive in human (and mammalian) behavior, it only develops through a specific set of interactions among developmental, evolutionary, ecological, and physiological processes. Furthermore, play is not always beneficial or adaptive. Part I offers a detailed discussion of play in placental mammals (including children) and develops an integrative framework called surplus resource theory. The most fascinating and most controversial sections of the book, perhaps, are in the seven chapters in part II in which Burghardt presents evidence of playfulness in such unexpected groups of animals as kangaroos, birds, lizards, and "Fish That Leap, Juggle, and Tease." Burghardt concludes by considering the implications of the diversity of play for future research, and suggests that understanding the origin and development of play can shape our view of society and its accomplishments through history.